pasimalungun.net – Informasi Loker Medan Terbaru Desember 2018 di PT Sinar Jernih Suksesindo. PT. Sinar Jernih Suksesindo (SJS) is a Business Process Outsourcing Company. We provide variety of manpower services and other related customized service to our customers. We are the member of PT. National Energy Solution ( NES ) group which focus on the development of the energy efficiency in Indonesia. 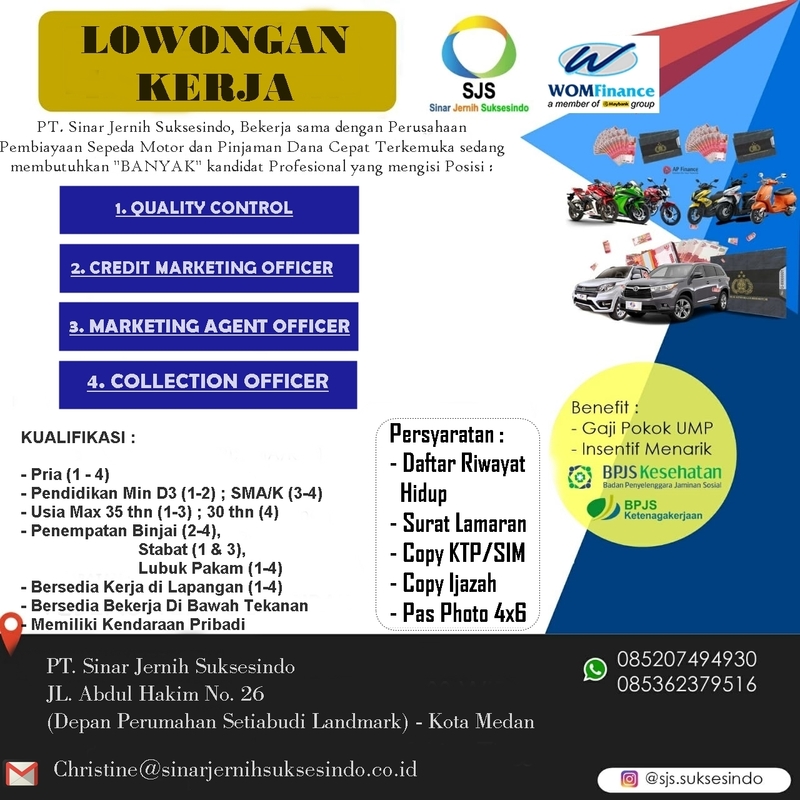 Lowongan Kerja ini diinformasikan oleh medanjobs.blogspot.co.id dengan Kategori ~ SMA-SMK, Collector, Diploma 3, Lowongan Bulan Ini, Marketing.